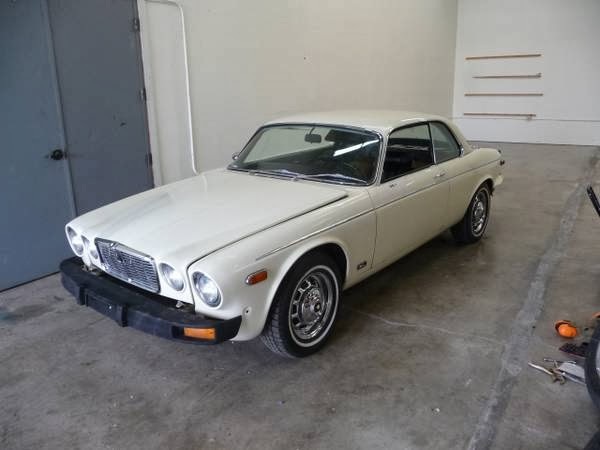 This ad starts off with the sentence, "Jaguar enthusiasts save this rare car from the inevitable Chevy conversion!!!" Yes! A man after my own heart? Well, no, not really. A few sentences later he writes, "I purchased this car to convert to Chevy like my other Jag..." Oh. From 1974 through 1978, Jaguar built 10,426 XJCs (including those badged as Daimlers). Only 12 were built in 1974 and 31 in 1978. 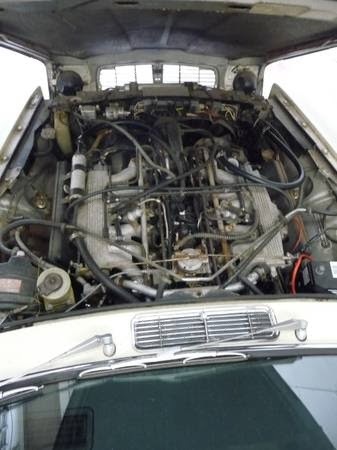 Of those, just 2262 came with the V12 (1855 badged as Jaguars, 407 as Daimlers). 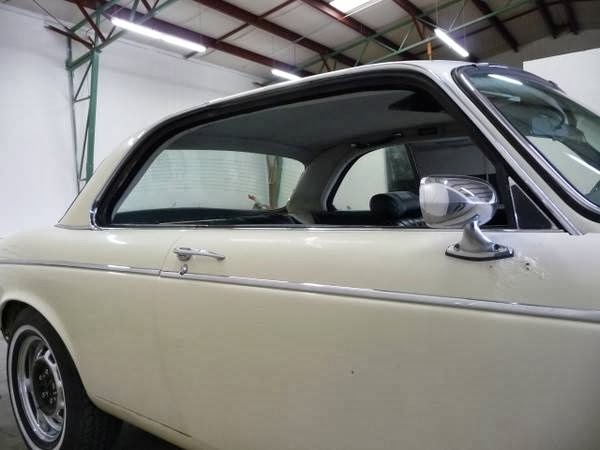 All XJCs came from the factory with vinyl roofs. 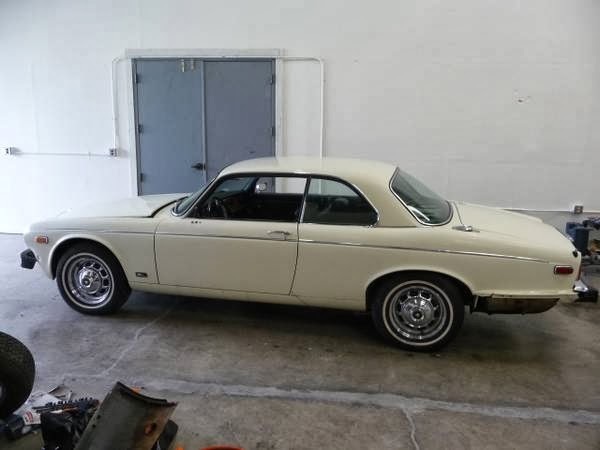 The story at the time was it was to cover the poor roof finish, which is not too unbelievable, given Jaguar's quality control issues in the 1970s. 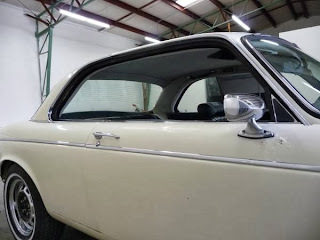 However, as these cars got older and vinyl roofs went out of fashion (it's hard to believe they were ever in fashion) owners started removing them and reported finding nothing evil underneath. Most likely they were there for stylistic reasons. All-in all, the build quality of XJC was no worse than that of any 1970s Jaguar, which is to say it was pretty poor. But, you don't buy an old Jag for it's build quality and reliability. You buy it for its looks, luxury and performance. In those departments, the XJC scores perfect 10s. The V12 engine is an incredibly smooth engine. Off the line it feels lackluster, but get the car up to 20 or 30 MPH, floor it, and be ready for an incredible experience. Contrary to popular belief, the engine itself is fairly durable. It's the stuff around the engine, the stuff that makes it run and keeps it cool, that causes most of the problems. As the seller writes, it is estimated that less then 200 of these cars are left on the road in the US. Despite being rare, they are not worth a ton of money. Restoring one is a labor of love. For whatever reason, the owner of this car had a change of heart and decided not to do the dreaded Chevy V8 conversion. He now states "I'm a classic car lover and really want this one to be saved as original!" Good for him. Another "keep it original" convert? This car is complete, but has some rust. It runs. The seller is including some spare parts. You'd have to fix the rust even if you did a Chevy conversion. And, unless the engine needs a rebuild, restoring, repairing, and upgrading the mechanical parts won't cost much more than the Chevy V8 and conversion parts. Why not just keep it original? I hope someone does. 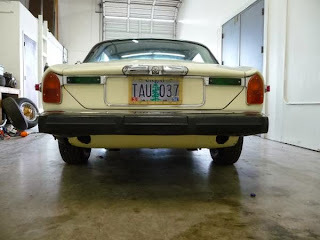 Located in Eugene, OR, click here to see the Craigslist ad. I bought this car and am keeping it original. Slowly working through the various issues you might find on a car this old - especially a Jag.